I wanted something special and not made out of chocolate for Lottie’s Easter present. 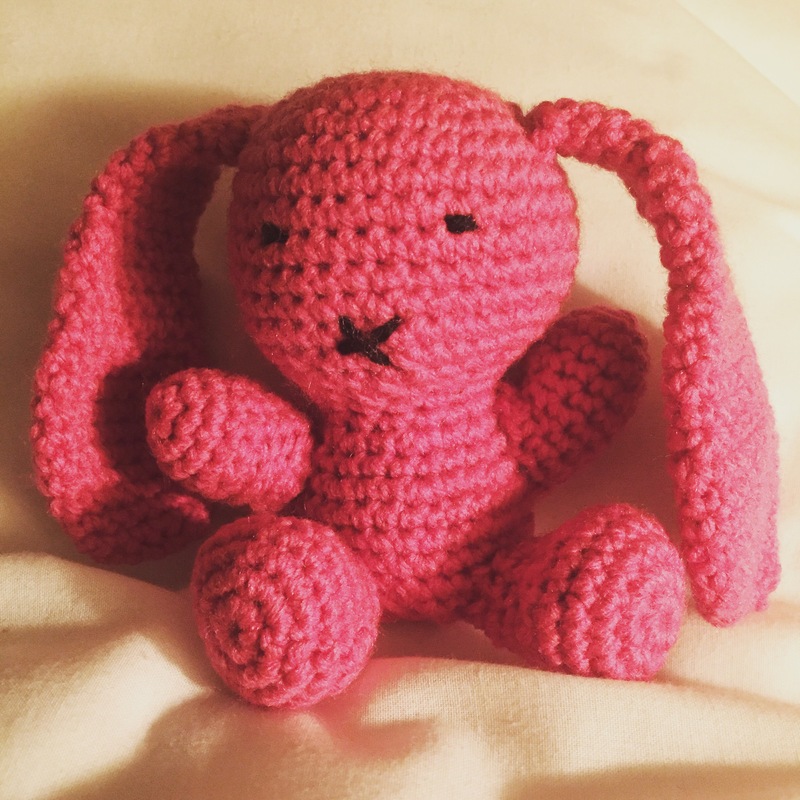 Thanks to the wonderful Laura at HappyBerry Crochet I was able to make this sweet little bunny. Lottie loved her bunny and I loved the sweet amigurumi pattern that worked up in a few nights. Here is the link to the video tutorial and also HappyBerry Crochet‘s wonderful website if you are looking for polished, easy to follow patterns. I’ve been crocheting all my life on and off however the last 2 years of actively working on my skills has been helped so much by this website and Laura’s videos. I’ve made beanies, toys, play food and all sorts of things and I always know they will turn out perfect if she wrote the pattern. Next I want to try another crochet doll. I wasn’t all that happy with my first attempt and I think I need something easier, a bit more piece by piece instead of working the whole body, head and legs in one. Any suggestions?